Disney Parks can be pretty exhausting. When you wake up after spending a whole day at the park you’re ready for a big breakfast. So what should you do as a vegan for breakfast to prepare for the long day ahead? Luckily Disney World chefs are great with different diets, whether you’re at a buffet or just a quick service for breakfast. One of our favorite places to go for breakfast is Chef Mickey’s in the Contemporary. Our last trip to Chef Mickey’s we were greeted by a chef who made us vegan Mickey waffles and a plate of breakfast potatoes with zucchini, eggplant and mushrooms in it. When he told us about making a plate with veggies we were a little confused but when it came out it was delicious and we didn’t mind the extra vegetables for breakfast. When we went through the buffet with the chef there wasn’t a whole lot for us to eat. We expected this since the standard American breakfast seems to consist of mainly meat and eggs. But we were able to eat breakfast potatoes and tons of fresh fruit. Throw that in with our Mickey waffles and we were full. 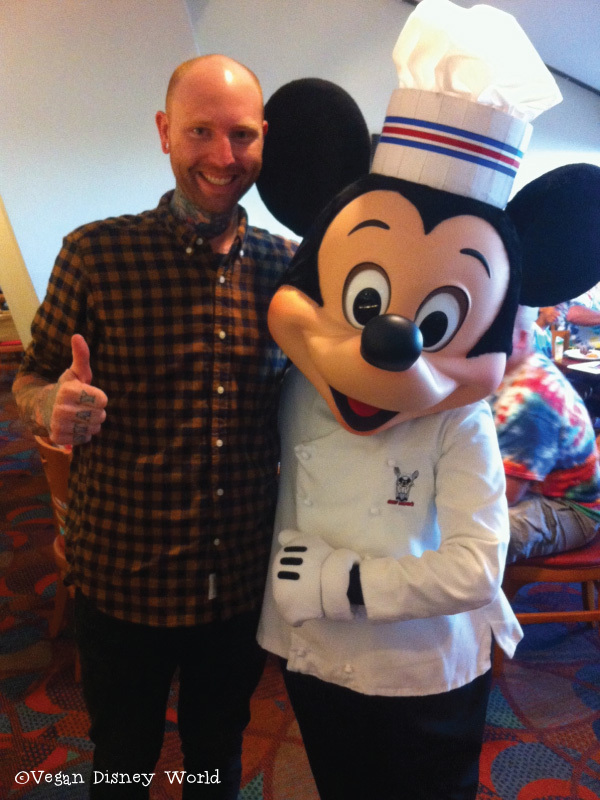 Chef Mickey’s is a great character meal for both kids and adults. They give you attention whether or not you are with children which is great for us. 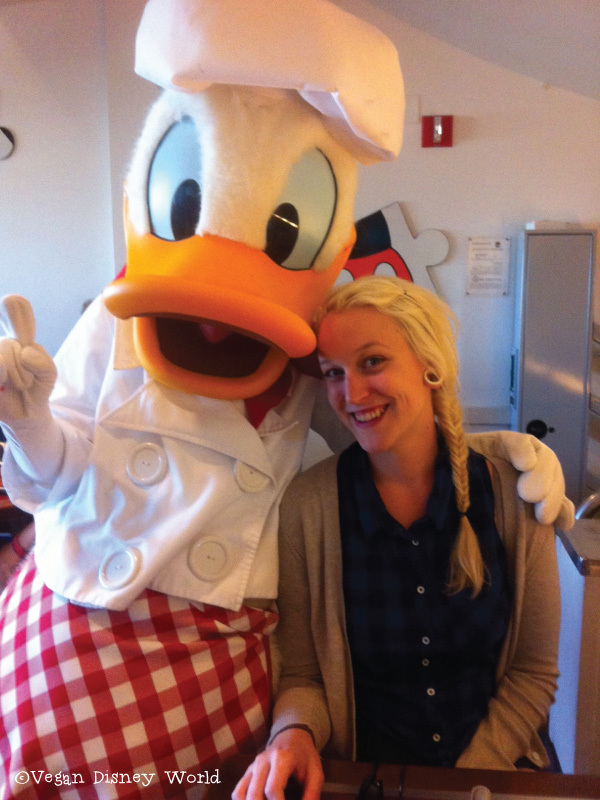 The characters included in this meal are Mickey, Minnie, Goofy, Donald and Pluto. All of which have a chef themed outfit, except Minnie. An added benefit of Chef Mickey’s is being able to take the monorail after your meal to either Epcot or the Magic Kingdom. Generally all the breakfast buffets have the same options so don’t feel as though you can only do Chef Mickey’s. There are several character breakfasts offered on property. You don’t just have to go to a big buffet for breakfast. We wandered into Pepper Market at Coronado one morning ready for some breakfast. Pepper Market isn’t a normal quick service, you are first seated then go up to the cafeteria style counters with different types of food. We told our waitress about our vegan diet and a chef came out to ask what we wanted for breakfast. She made us waffles, potatoes and added some fresh fruit. We were charged the same amount as a normal plate of waffles. No matter where I have enjoyed my Mickey Waffles, they are always great. What if you don’t want to do a quick service or a table service for breakfast? All resorts have a “grab and go” style shop. 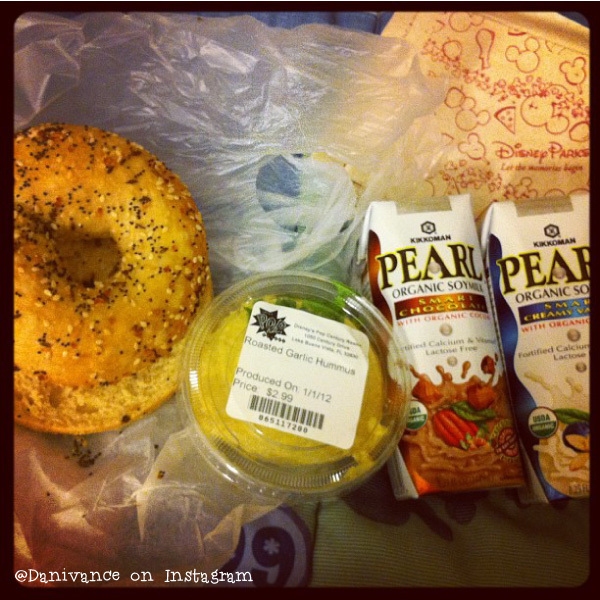 We have often picked up bagels and asked for hummus (make sure it is vegan, some have cheese in them on property for whatever reason), found Silk yogurt and soy milk. When Babycakes NYC was still in Downtown Disney we would often pick up some donuts or bread to eat in the morning. A great tip for planning your day is to have an early lunch on days you have a light breakfast. When you’re having a big breakfast skip lunch and just go with a snack to tie you over until dinner. 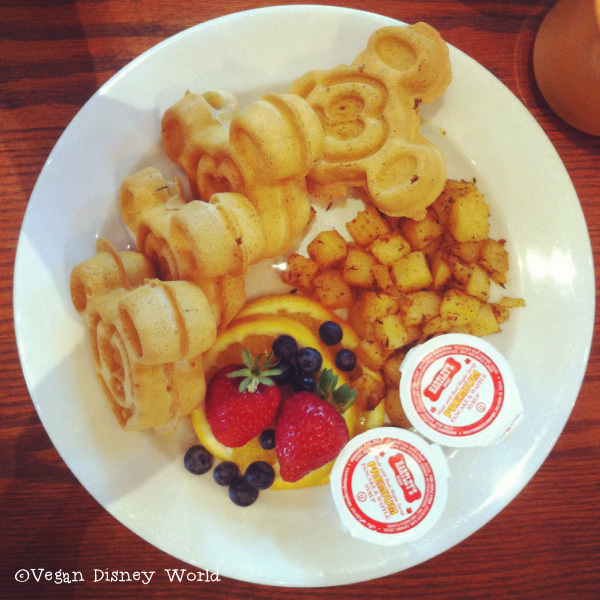 Bonus tip: Mickey waffles can be made both vegan and gluten free! Next week we are leaving for our 10 day Disney World trip for our wedding! We will have lots of new reviews after this trip including what is was like to have an all vegan wedding in Disney World. 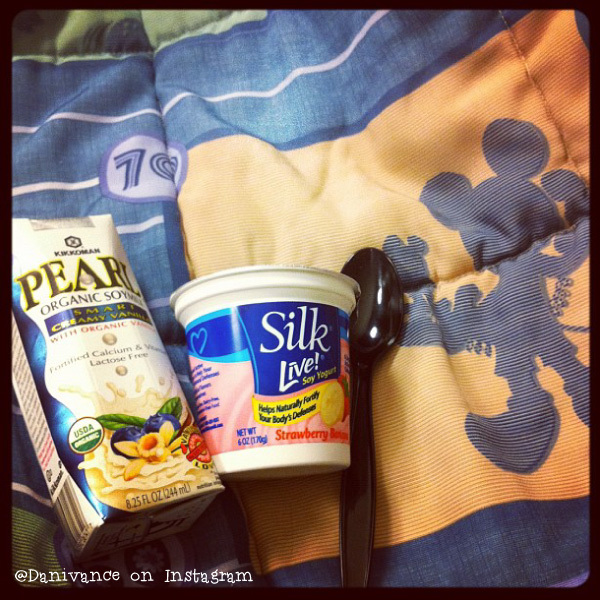 Let us know if there is anywhere else you would like a Vegan Disney World review on!